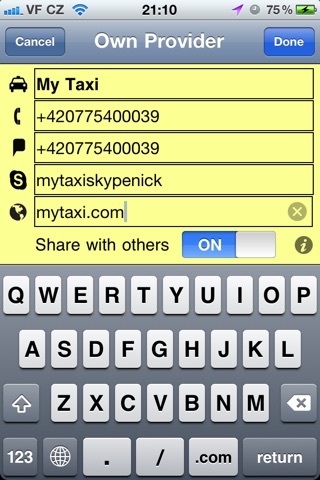 A smarter way to book a taxi! Book your cab with Skype to avoid the expense. Use SMS booking to save money and avoid language barriers when abroad. If we can't give you such options, plain old phone booking is of course available. *** Abroad and not having internet connection? Where possible, Taxican will give you a choice of providers from its on-device database (60+ cities worldwide, growing every day) with hopefully SMS option to book. *** Have internet connection, but we don't have on-device provider handy? 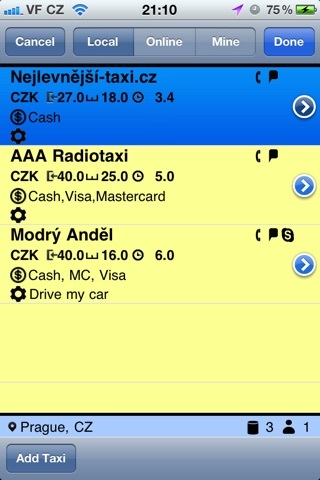 Use built-in online search for a taxi, to book just in two taps. Stores the taxicab you found for you, so you can use it next time, either you are connected or not. 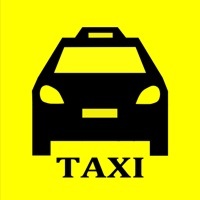 *** Your favorite taxi is not in the online search or on-device list? Just add it. All of the booking options, phone, skype, sms are available here to use if provider supports them. No need to approve anything with anyone here. If you like sharing your favorite provider with others and Taxican team, please do. Within a day we add it, so all Taxican users can use it. *** In a restaurant/office and gps is not really helpful finding your pickup address? Taxican integrates with Foursquare to bring you the list of pickup location candidates closest to you. You bet there is a chance the restaurant or your office will be on the list, thus giving you and a taxi driver a perfect pickup address. *** Booked for few days in advance and can't remember if booked or for when and with whom exactly? History of last 10 bookings is kept for your convenience. With pickup location if entered, pickup time, taxi provider name and city, just in case! As we are getting older at Taxican this becomes our favorite feature :). *** A word of disclaimer and encouragement We will try to do our best to find your a taxi with the least expense and hurdle. Though we are just starting and your suggestions for new taxis and improvements will be greatly appreciated.